We’d love your help. Let us know what’s wrong with this preview of Spot 12 by Jenny Jaeckel. Spot 12 delivers the gritty details of a mother, a newborn, and a five-month stay in the Neonatal Intensive Care Unit in a visually gripping graphic memoir by Jenny Jaeckel. A routine prenatal exam reveals a dangerous problem, and first-time parents find themselves thrust into a world of close calls, sleepless nights, and psychological crisis. Surrounded by disagreements, Spot 12 delivers the gritty details of a mother, a newborn, and a five-month stay in the Neonatal Intensive Care Unit in a visually gripping graphic memoir by Jenny Jaeckel. A routine prenatal exam reveals a dangerous problem, and first-time parents find themselves thrust into a world of close calls, sleepless nights, and psychological crisis. Surrounded by disagreements, deaths, extended family tensions, and questions of faith, the mother struggles to maintain a positive frame of mind. To ask other readers questions about Spot 12, please sign up. Just recently I have started delving into graphic novels. The first one I read was, Maus. So I was excited to find out that I won, Spot 12, because it sounded very similar to Maus; by using animals in place of people and it being a true story memoir about a horrific event. I also want to mention that I love the title! Overall, I enjoyed the story of what was supposed to be a routine birth but ends up turning into the parent's worst nightmare. I felt so bad for Jenny and Cito and, of course, for Just recently I have started delving into graphic novels. The first one I read was, Maus. So I was excited to find out that I won, Spot 12, because it sounded very similar to Maus; by using animals in place of people and it being a true story memoir about a horrific event. I also want to mention that I love the title! Overall, I enjoyed the story of what was supposed to be a routine birth but ends up turning into the parent's worst nightmare. I felt so bad for Jenny and Cito and, of course, for Asa. As for my review ... What kind of threw off the story for me was the way in which it was written. Rather than the characters conversing together through speech bubbles, the story was just told above an accompanying cartoon. I felt like the story was detached from the pictures. Also, some of the way things are expressed in the story are just weird. I can't relate at all to a nurse who would say, "I just love their fat little vaginas" or the entire "I told Asa she was a big strong tree" paragraph. 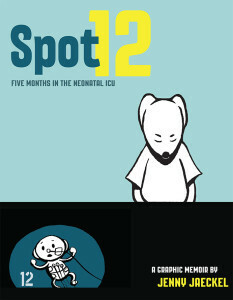 Spot 12 is an account of the author's experience with the five months she spent with her daughter in the NICU. 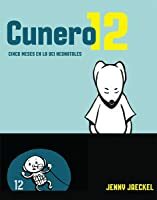 The book is unique as it is presented in a graphic novel-like format with the text and drawings created by the author. I haven't myself had any experience with my own child in the NICU, but I have had friends and family members who have spent time there with their newborns. Everyone's experience is different, but I can guess that some of the fears and feelings that all parents have while their child is in the NICU are the same. I won an Advance Review Copy through a Goodreads Giveaway. I really feel bad about the suffering endured by Jaeckel's daughter and the stress it put on her and her family. That said, I really didn't like the execution of this graphic novel because it wasn't really a graphic novel, it was more like a poorly illustrated text piece. Captions overwhelm the pages. Dialogue balloons were used on maybe three pages, and the rest of the time the reader is subjected to giant boxes of text. Layouts of the p I won an Advance Review Copy through a Goodreads Giveaway. It's hard to criticize such a deeply personal & honest story. There's a lot to appreciate here: some welcome openness about depression, an extremely touching recounting of the ways she viewed and touched and thought about her daughter. Some of the panels are tremendously striking in their stark black and white. But a few things really rubbed me the wrong way--repeating the fallacy that vaccines are linked to autism, for example. That felt irresponsible. At times, it felt like some details had It's hard to criticize such a deeply personal & honest story. There's a lot to appreciate here: some welcome openness about depression, an extremely touching recounting of the ways she viewed and touched and thought about her daughter. Some of the panels are tremendously striking in their stark black and white. But a few things really rubbed me the wrong way--repeating the fallacy that vaccines are linked to autism, for example. That felt irresponsible. At times, it felt like some details had been added that didn't serve the narrative arc, and should probably have been cut in the editing process. And finally, I felt a little manipulated by some of the language choices toward the end. I won't say more because I don't want to add spoilers, but I thought it detracted from the forthrightness the story had built up. Still, I've asked my partner to read it so we can discuss. I think it raises some critical issues that people thinking about procreation should talk about. I read this book on my computer via a copy one of my dear neighbors had loaned me, and the following is my honest opinion. 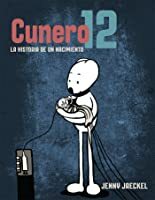 Granted, while this endeavor by the author, Jenny Jaeckel, is in a comic book format, it does a decent job depicting the reality and the anguish by the parents, especially the mother, of seeing their newborn child lying helpless in an incubator in a NICU ward, it doesn’t come close to the real thing. Having worked in city hospital for over 33 years in a non-medical capacity I I read this book on my computer via a copy one of my dear neighbors had loaned me, and the following is my honest opinion. Having worked in city hospital for over 33 years in a non-medical capacity I had the opportunity of seeing NICU babies up close and personal. You can’t imagine what it’s like looking at these infants first hand, some so small you could hold in the palms of both of your hands. There they lie with their still pink helpless bodies, in their incubators, with monitors and tiny IV tubes with tiny needles taped to their bodies. The incubators have two holes on each side through which gloved nurses gingerly manipulate these pre-mature infants. You can’t imagine the mothers sitting on chairs looking at the wonder they’ve given birth to. It’s a marvelous sight looking at these NICU babies has they win their battle of facing the numerous medical complications associated with being born pre-mature. You can’t imagine the emotional sight of seeing the mother being able to hold her infant in her arms for the time after several weeks, unless you’ve witnessed it yourself. While having one child in a NICU is emotionally draining, just imagine what it’s like when the mother had given birth to multiple pre-mature infants, with each one developing at different rates. A mother might have one child at home, and the other(s) still in the NICU. For having given her readers this insightful story, how can you not give it 5 STARS. I do not read many graphic novels, it is generally not a style that appeals to me. The story here is deeply emotional and well told through words and pictures. I particularly liked the use of space to show how small the author felt in the face of these life changing events she was experiencing. I also really appreciated the epilogue with information about what happened next. received this through a goodreads giveaway. I enjoyed (as much as one can enjoy a recounting of another person's pain...) this text. I've read some reviews that fault the author for not using direct text/quotations much. That really didn't bother me. In fact, I think I liked it more the way it is. As someone who has spent too much time in a hospital with a family member, I appreciate the balance of confusion and terror with the (sometimes dark) humor. Overall, a worthwhile read. Disclaimer: I received Spot 12 through a Goodreads Giveway. I admit that I naively misunderstood the word “graphic” in the description, thinking it related to realistic descriptions of medical procedures. I love the title. Spot 12 was the location of Jaeckel’s daughter’s isolette in the NICU. The gut-wrenching story is told through the use of illustrations enclosed in panels. All of the people are depicted as animals. This tends to add distance and give an air of unreality, which is perhaps a per Disclaimer: I received Spot 12 through a Goodreads Giveway. I admit that I naively misunderstood the word “graphic” in the description, thinking it related to realistic descriptions of medical procedures. I love the title. Spot 12 was the location of Jaeckel’s daughter’s isolette in the NICU. The gut-wrenching story is told through the use of illustrations enclosed in panels. All of the people are depicted as animals. This tends to add distance and give an air of unreality, which is perhaps a perfect description of what it’s like for new parents to have an infant in the neonatal intensive care unit. Through brief snippets of prose in thought bubbles, the reader is given an overview of what is happening. The illustrations are well-done, and Jaeckel appears to be a talented writer. Jaeckel is open about the emotional and psychological trauma she endured, but for me, the use of a graphic novel technique barely scratched the surface. Perhaps I’m showing my age as a boomer, but I think this technique trivializes a life-changing experience. Let me add that at no time did the author give the impression that this was anything but earthshattering; I’m just saying I would have preferred a more traditional memoir format. Love this book. Jenny does an amazing job of presenting her story of the premature birth of her daughter in a simple, beautiful visual language. In Spot 12: Five Months in the Neonatal ICU, Jenny Jaeckel narrates and illustrates the experience of her newborn daughter being stuck in the NICU because of various problems, including some challenges with her trachea. Fortuitously, the baby is born in Canada, which has universal health care, and the baby gets the care that she needs. Throughout the entire experience, the parents find themselves largely divided, as they try to make sure that one of them is with baby Asa at almost all times. As t In Spot 12: Five Months in the Neonatal ICU, Jenny Jaeckel narrates and illustrates the experience of her newborn daughter being stuck in the NICU because of various problems, including some challenges with her trachea. Fortuitously, the baby is born in Canada, which has universal health care, and the baby gets the care that she needs. Throughout the entire experience, the parents find themselves largely divided, as they try to make sure that one of them is with baby Asa at almost all times. As the ordeal continues, Jenny finds herself depleted as she tries to recover, follow the health trials of her newborn, and adjust to her new life. Her mental health suffers and she struggles to keep herself functional through all of the medical drama. The recounting includes a lot of detail, and the graphic novel sweeps you into the enclosed world of the NICU, where it seems that nothing changes for weeks and even months, until it does. Characters are drawn as different illustrations, and it is all in black and white. Drawings are not overly simplified, but are not terribly intricate, either. The effect is as though the story were a straightforward memoir and not representational. An ambitious work, which feels honest and stifling. I found myself eager to hold my own baby and extremely grateful for her health. Disclaimer: I received Spot 12 through a Goodreads Giveway. Initially the art style of this book turned me off a little but the stylized caricatures helped me to better feel the intents of each personality. I found the story to be conveyed in such a way to give weight, expressing not just the actions of the protagonist but to actually make you feel with her. Pages showing anxiety or stress putting you in her mindset. The explanations of the various medical goings on could have been very dry but t Disclaimer: I received Spot 12 through a Goodreads Giveway. This birth story is both a miracle and a nightmare, wrapped in a baby blanket. Going to the hospital for a prenatal ultrasound, the parents are plunged into a relentless five-month series of interventions to keep baby Asa alive. Creatively depicted by mother Jenny Jaeckel, the black and white illustrations add to the surreal sense of the Neonatal Intensive Care Unit. Its clinical procedures, aided by a barrage of machines and devices, are balanced by the ever-changing healthcare team, brought in This birth story is both a miracle and a nightmare, wrapped in a baby blanket. Going to the hospital for a prenatal ultrasound, the parents are plunged into a relentless five-month series of interventions to keep baby Asa alive. Creatively depicted by mother Jenny Jaeckel, the black and white illustrations add to the surreal sense of the Neonatal Intensive Care Unit. Its clinical procedures, aided by a barrage of machines and devices, are balanced by the ever-changing healthcare team, brought inventively into human focus by their personal traits, such as Nurse Chuckles. This is a difficult book to review, because there are several components to it. Some of them are executed very well while others fall short. The narrative is very personal, and I think Jenny Jaeckel does a very good job of inviting the reader in to experience all of the emotions that were running through her head during this period of her life. It's a heart-wrenching story, but one that is ultimately inspiring. I love the inclusion of the epilogue with photos at the end. In the introduction, it's This is a difficult book to review, because there are several components to it. Some of them are executed very well while others fall short. The narrative is very personal, and I think Jenny Jaeckel does a very good job of inviting the reader in to experience all of the emotions that were running through her head during this period of her life. It's a heart-wrenching story, but one that is ultimately inspiring. I love the inclusion of the epilogue with photos at the end. In the introduction, it's revealed that Jaeckel wrote the full text of the book first, before beginning the illustrations. Unfortunately, this is obvious while reading. Most of the panels tend to have too much narration attached, which is not the most effective use of the comic form. Either the text needed to be cut down during this stage, or there needed to be more panels and illustrations. Another option would've been to scrap the use of panels altogether and create more fluid illustrations to pair with the text. There were certainly times when I felt that the potency of the story was lost because the narration kept stopping and starting with each new panel, disrupting the flow. That said, there were some beautiful spreads sprinkled throughout, particularly during more quiet and contemplative parts of the narrative. The illustrations themselves were lovely and simple. The use of anthropomorphic animals endeared me to all of the players in the story while keeping me at a distance at the same time. This is the intense but brilliant story of an infant in nicu after an early birth. I was outraged for the author when she was told by a nurse not to touch her baby for two days. Probably because it reminded me when my son was in nicu for a few days and was told I couldn't hold him. I was furious, so I could feel the authors pain. I loved hearing about the kind nurses and hated the incompetent ones. Hearing about some of the other patients families too was also moving. I liked how the people are drawn as animals. I liked the art which conveyed everything the author and her husband went through. The text is nice and easy to read. Overall this is a very moving story that is brilliantly done. I’m so glad I got the chance to read this. I found this book very interesting. Although the format is different than that of a novel I quickly got used to it. I appreciate the total honesty Jaeckel shares in her story. This book gave me a true feeling for what it must be like to have a child in the NICU for months on end with complications setting the release date back. Jaeckel shares the sheer terror she felt at times of the possibility of losing her child. This is a pretty quick read. I read it in two sittings. I highly recommend it if I found this book very interesting. Although the format is different than that of a novel I quickly got used to it. I appreciate the total honesty Jaeckel shares in her story. This book gave me a true feeling for what it must be like to have a child in the NICU for months on end with complications setting the release date back. Jaeckel shares the sheer terror she felt at times of the possibility of losing her child. This is a pretty quick read. I read it in two sittings. I highly recommend it if you want to get a realistic view of the emotional part of living with a child so ill in the NICU. 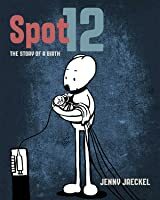 I won a copy of "Spot 12" through the Goodreads giveaway. Let me first say that I thought some of the names for the characters was weird and that the title of nurse should have been spelled out instead of using the initial N. Also, a comment made by the character named Deer was extremely bizarre, "I love their fat little vaginas". Now, for the positive comments: I enjoyed the graphics and I felt invested to continue to read the story because I was concerned for baby Asa. This book can be used as I won a copy of "Spot 12" through the Goodreads giveaway. Wow very original book! This was a wonderful, sad, but encouraging story that will break your heart and warm it at the same time. I have always been a fan of graphic novels and have read quite a few. Its just a nice change from reading a full novel, its fun! I don't think I have ever read one that was a memoir and especially not about the birth and life of a baby with special needs. I loved that the author also included a lot about her own feelings and depression (not just about the baby) this really made it real for me. I can see this book being used for parents going through the same problems with their newborn or really a newborn with any problems. This would also be a great tool to use to help your older children understand what is happening and what to expect when a new baby is going to be born and will need surgery or needs to stay in the NICU. This story is written simply enough for older children to understand. I think it would be great if hospitals would have this book on hand to give to new parents who will be experiencing anything like this with their own babies. Wouldn't that be just wonderful? I found this book very interesting and especially heartwarming. I also shed a few tears in a couple spots. loved that is was in graphic novel form - it was interesting enough to beginning with but this just made it more fun to read - different. My favorite part was when she wrote her prayers for Asa on the glass window so the prayers could go up to the sky to God. I loved this idea! I especially loved that the author put real photos of Asa and an update on how she was doing in the back of the book! This was a joy to read. Thank you TLC Book Tours for sending me this book for my honest review! This review has been hidden because it contains spoilers. To view it, click here. This is a very unique account of one family's experience of having a baby born with a tracheoesophageal fistula and the months spent in the NICU. Its creative and would be helpful to those encountering a similar stay for processing feelings of being out of control or struggling with post-partum depression. The reluctance to vaccinate an immune-compromised baby was disturbing to me, but she did mention that the doctors counseled her against it. Thanks to goodreads for hosting the giveaway and Rai This is a very unique account of one family's experience of having a baby born with a tracheoesophageal fistula and the months spent in the NICU. Its creative and would be helpful to those encountering a similar stay for processing feelings of being out of control or struggling with post-partum depression. The reluctance to vaccinate an immune-compromised baby was disturbing to me, but she did mention that the doctors counseled her against it. This is a heart-wrenching tale that is done as cartoons. It is a journey of love and survival. I won a copy of this book during a Goodreads giveaway. I am under no obligation to leave a review or rating and do so voluntarily. I am paying it forward by passing this book along to a family member who I think will enjoy it too. Someone whose goal is to go into the medical field. I hope it provides inspiration. The art really worked well. A few parts were too "talky" but overall this is very good. It's enlightening just how much technology can and can't do in these situations, and how important it is to have a team of people to help. The book deals with both physical and emotional/mental illness and mentions other babies dying in the NICU (her own child survives). I got this from a Goodreads giveaway and I am so happy I did. The storytelling in this book was great. Very emotional in a good way. My dad worked for 30 years as a NICU social worker and I always wondered what the families were like when I would go visit him at work, and now I feel like I really know one family. I recently won this book in a Goodreads Giveaway. Having previously worked in a hospital, I believe that the NICU is truly a place where miracle happens. That is why this book interested me so much. While the story was heart wrenching and compelling, it was difficult to read due to the graphics. I would have preferred just the words. The book was emotional. I felt the pain of every decision and the parents' love for their child. Jenny Jaeckel is the author of the forthcoming House of Rougeaux, which is her debut novel. Her previous titles include For the Love of Meat: Nine Illustrated Stories and Siberiak: My Cold War Adventure on the River Ob. In 2016, Jaeckel published the graphic memoir Spot 12: Five Months in the Neonatal ICU which was the winner of the 2017 Next Generation Indie Book Awards. Spot 12 was also a 2016 f Jenny Jaeckel is the author of the forthcoming House of Rougeaux, which is her debut novel. Her previous titles include For the Love of Meat: Nine Illustrated Stories and Siberiak: My Cold War Adventure on the River Ob. In 2016, Jaeckel published the graphic memoir Spot 12: Five Months in the Neonatal ICU which was the winner of the 2017 Next Generation Indie Book Awards. Spot 12 was also a 2016 finalist in the Foreword Indies Book Awards. She has also appeared as a guest on the popular podcast ONE BAD MOTHER.